To experience Second Life requires a PC or Mac and you will need to download either the Second Life Viewer or the Firestorm Viewer for Second Life. These Instructions will assist in getting you started. Go to the Second Life website. Set up a free account (“JOIN FREE”). Choose between New Avatars, Classic, and Fantasy. These choices can be selected by clicking on the TABS just above the Avatars displayed in the carousel. We recommend starting with a “Classic Avatar”. Don’t worry, you can improve your appearance later. Create a username and password and keep a safe record of it. There is no way to change your username once selected. Some are comfortable using their real names and some are not. Feel free to be creative. Second Life will check the availability of the name you have selected. Please Read: Now that you have a username, you will be prompted to download the SL Viewer. Before downloading the Second Life Viewer, please review the next section. Selecting the right viewer makes a big difference in your inworld experience. The Firestorm Viewer is our number one choice. The graphics display so much clearer and it supports the new Bento Avatars, which are more realistic looking. Download Second Life Viewer. This is NOT our recommendation. Our suggestion is Firestorm Viewer for Second Life. For Second Life Viewer, select your operating system, PC or Mac, then follow the setup instructions given by the website. For Firestorm Viewer for Second Life, “Preferred Viewer”, visit the Firestorm Viewer Website. Do I have a 32bit or 64bit operating system? For Windows 7 or 8: Go to the “Start” menu, select “Computer” Take note of the “System Type”. Windows 10: “Windows Icon” on keyboard or by clicking it on bottom left. Type in Search, “This PC” then select it from the options. On the top left of the newly opened window, you will see “File”, “Computer”, “View”. Select “Computer” tab. Select “Properties” just below where you clicked “Computer”. Take note of “System Type” which will indicate whether you have a 32-bit or 64-bit operating system. What is an “Opensim”? 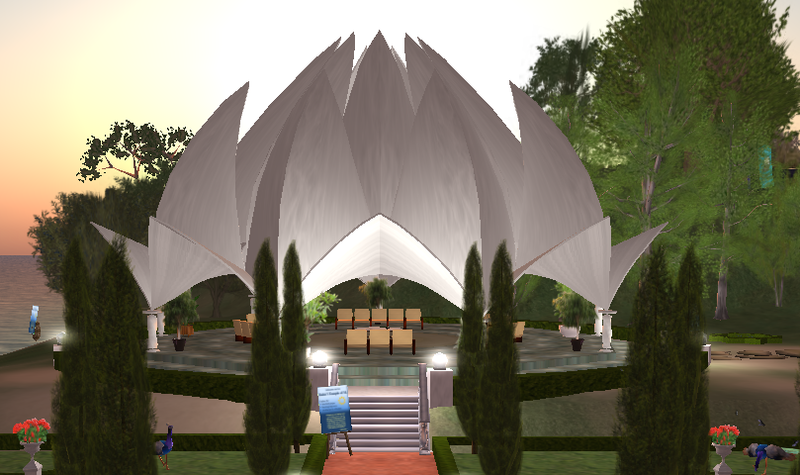 Opensim allows you to use your viewer in various virtual worlds that use that viewer. If you are only going to be going into Second Life, Opensim option is not necessary. Our recommendation is for “SL only”. For Mac, select “For SL only 64bit”. For PC, select either “For SL only 32bit” or “For SL only 64bit” depending on your operating system. See steps above to determine this. Follow the Instruction for download provided on the website. This will require you to run the setup. For Windows, you will need to click the downloaded file to open and run it. I am not sure about Linux or Mac. Allow for the program to make changes to your computer in order to install. This is normal. 6. Open the SL Viewer or the Firestorm Viewer: Once you have downloaded either the SL Viewer or the Firestorm Viewer, it should launch automatically. If not, you may have to select the newly installed viewer icon now showing on your desktop. Working along the bottom, type your username in the “Username” field. This will be the username you selected when choosing your avatar. Type in your ‘Password”. Put a check mark in both “Remember username” and “Remember password”. Select “Grid”: Choose Second Life if not already selected. This is found just below “Username”. Working along the top, type your “Username” in the first field. This will be the username you selected when choosing your avatar. Put a checkmark to “Remember Me”. For those using the Firestorm Viewer, in the upper right corner of the viewer you will notice a “Search” field. For the Second Life Viewer, Find the “Search Icon” located in the Left Side Bar – It resembles a looking glass. Type the following in the search field: “Lotus Temple”. This will open an inworld search screen. Select “Baha’i Center, Lotus Temple & Gardens”. This should be the first item that appears in the search. Click “Teleport” and then “Teleport” again, if necessary. Parcel Music: When you first arrive, you may receive a prompt “This parcel provides music from”. “Deny” to prevent the music from playing. It is important to note that when moving from one parcel to the next you may receive such prompts. Top Right Corner you will notice a “speaker” Hover over it to view the menu of items. By keeping your cursor over the speaker or drop menu it will remain open. To turn on a sound option there must be a checkmark next to it. To turn off a sound option, click on the checkmark to uncheck. Sliders control the sound level of each item. With your cursor, sliding left reduces sound, sliding right increases sound level. To turn on or off all sound. Click the speaker to turn off and on all sound. Make sure there is a check mark in the “Voice” Continue to the next section “Activate Voice” to set up voice. After ensuring that “Voice” is selected in your sound settings (see audio settings above), follow the next steps. Voice capability: This requires a headset with microphone, a built-in mic in your computer or a microphone that is plugged into the computer. Place a checkmark in the small box next to the microphone by clicking the small box. Select the microphone after the checkmark is in the small box by clicking the microphone icon. It will look depressed compared to the other icons and will appear darker in color. It is now Activated. A white dot will appear over your head. Green sound waves will be seen emanating from the white dot which indicates that it is activated. I still can not hear or speak! What did I miss? This usually indicates that the viewer has not recognized your speaker, headset and/or microphone. Select Sound & Media (For SL Viewer, skip the next item and go to ‘Ensure that there’. The other items can be unchecked. Select “Me” tab located at the top right of your screen. Ensure that there is a checkmark in the following: Checkmark All Items! The following instructions are for both viewers: Now, at the bottom you will notice “Audio Device Settings’ in that same window. Select it. Make sure you have selected the correct “input/output” device for your system. Speaking will either light up the sound level tester or it will not. Keep selecting different “Input/Output” options until you hear yourself. Logout then Log back in: For changes to take effect. Repeat the steps in the section “Activate Voice” to use your microphone. This should correct the problem. If not, repeat until you find the settings that the viewer recognizes. In the Search Field, top right, enter “Leelye Alyree” or just “Leelye” to connect with Lynette Wilson (Lynette Slaman-Garcia) and/or “Dearborn Carling” for Carl Fravel. Type a quick message. When we receive the message, we will find a way to connect with you. Feel free to let us know if you are on FB and we can try to reach you in messenger or simply provide an email. This will require providing your name. Moving around in Second Life can seem overwhelming at first. We hope these next steps will make the task easier. Arrow Keys: Using your arrow keys maybe the easiest way to move around. Sitting: There are two ways to sit in a chair. Second, right click on the chair. A wheel of options will appear. Select “Sit Here”. You are now sitting. Congratulations! Stand Up: There are a few ways to stand up if you are currently sitting or lying down. Just above the “Nearby Chat” you should see a small faded icon that says “Stand”. Click that and you will stand up. For Help, Lessons, Tutorials, Assistance, Support for Newcomers! In the Search field type “Caledon Oxbridge”. Select “Teleport”. There you will find a wealth of information on how to move and dress your avatar and so much more. Just follow the arrows. Where Can I Find Free Clothes? I highly recommend “The Free Dove Fashion”. Search “The Free Dove Fashion”. Once there, Join the group and begin shopping for free. Joining is free. If you see something you like, just hover over the item, click and it will add it to your inventory. There are dressing rooms in “The Free Dove” where you can change. Changing your outfit can be difficult. Dearborn or Leelye will be able to walk you through this process. Learning to get around Second Life, finding all the features that your new viewer has to offer and moving and dressing your avatar takes a lot of practice. We were all new to this world at one time. You will see unexpected things and creatures. When avatars rez in, many times the naked avatar appears first followed by their hair and clothes. This is normal and an expected part of graphics. Do not feel ashamed. It happens to all of us. There are many different types of creatures and races. There might be a fairy, a dragon, a cat, a vampire attending our meetings. This is typical in second life. Many come into Second Life for Role Play and their Avatars may resemble an activity they were just doing. Avatars are dressed in all different types of attire. Some formal and some…well…very suggestive. Be patient. It is a whole new world. Above all, enjoy what others have created. Many of us prefer using the “Firestorm” viewer instead of the viewer you initially download from Second Life. Firestorm has more features, but is otherwise quite similar. You can get a free download of it from http://www.firestormviewer.org on the Downloads page. Once you install it, log in with the same login you used with the Second Life viewer. You can use either one, but you cannot log into both at the same time.